In a country like India where free Wi-Fi is a hard-to-find luxury and mobile data still remains expensive. 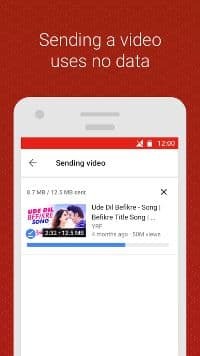 YouTube has come to the rescue of people who want to watch videos but do not want, to waste data. 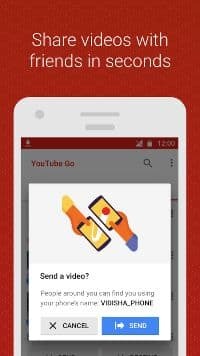 YouTube Go app is now available for download. You have to note here that the app still carries the ‘Unreleased’ tag which means the app is unstable and won’t work for all devices. The YouTube Go app is an extension of YouTube offline mode. You can download videos in basic and standard quality and save them on your SD card. This overcomes the main drawback of YouTube offline where the videos used to be stored on the internal memory. Most entry-level smartphones have 8GB of storage and YouTube offline used to gobble up this precious resource preventing you from downloading app or system updates. Next, comes the good bit of YouTube Go. 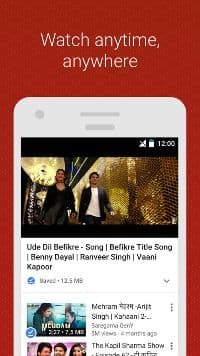 You can share the videos you have downloaded on your Android smartphone with your friends who also have the YouTube Go app. You can share your videos to your loved ones without using data by the help of Bluetooth. Once the other person has received the video he/she has to initiate a security check that consumes just 15KB to begin watching the video on his/her device and also share the video with others. 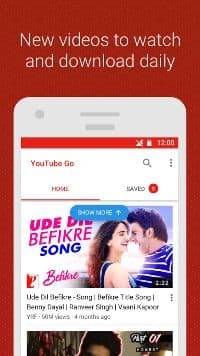 The YouTube Go app unlike the full-fledged YouTube app is faster the load and costs just 8.5MB to download. The YouTube Go works on older devices running Android Jellybean too. When Android Police tried out the app they noticed that it requires you to enter your mobile number and verify it so that it can find friends with whom you can share your YouTube videos. 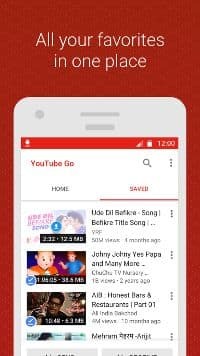 You can download the YouTube Go app from the Play Store or from APK Mirror. Just to clarify here the app only works in India.